Hand made by me in my home studio. 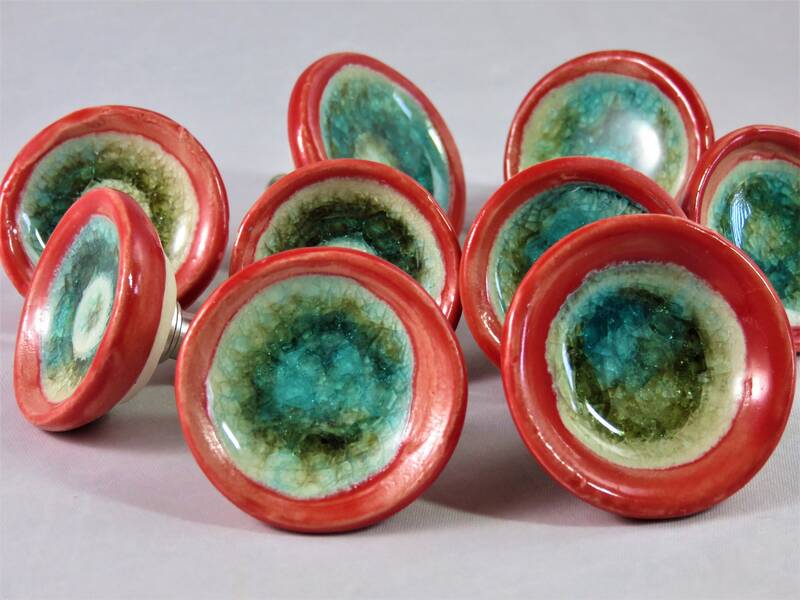 These pulls are thrown on my pottery wheel with stoneware clay and then dipped in red glaze with a mix of turquoise green and blue glass melted inside. They are luminous and striking. Use them on cabinets, do-it-yourself jewelry holders or furniture. 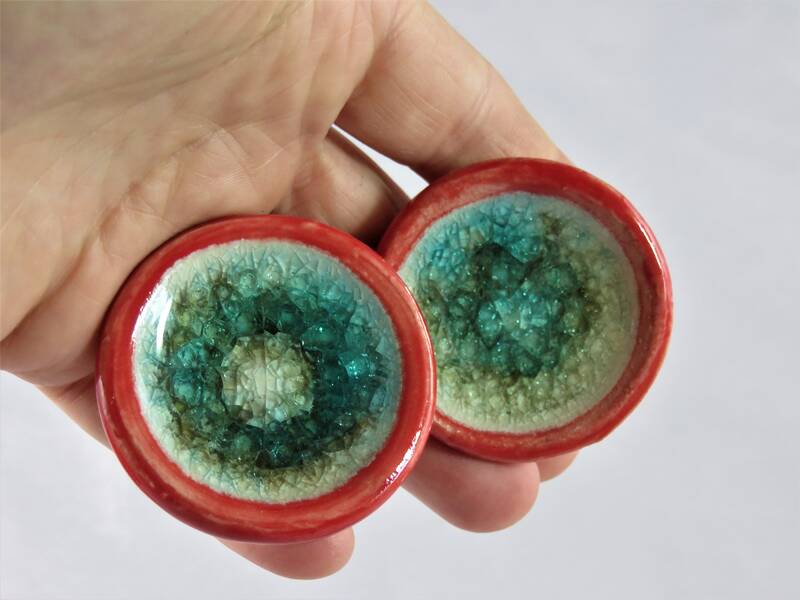 They measure about 1 inch across. Please note, Etsy doesn't allow me to set shipping for each individual quantity, so it can vary. Large quantities will require increased shipping costs. I will contact you before shipping. Feel free to contact me with any questions. 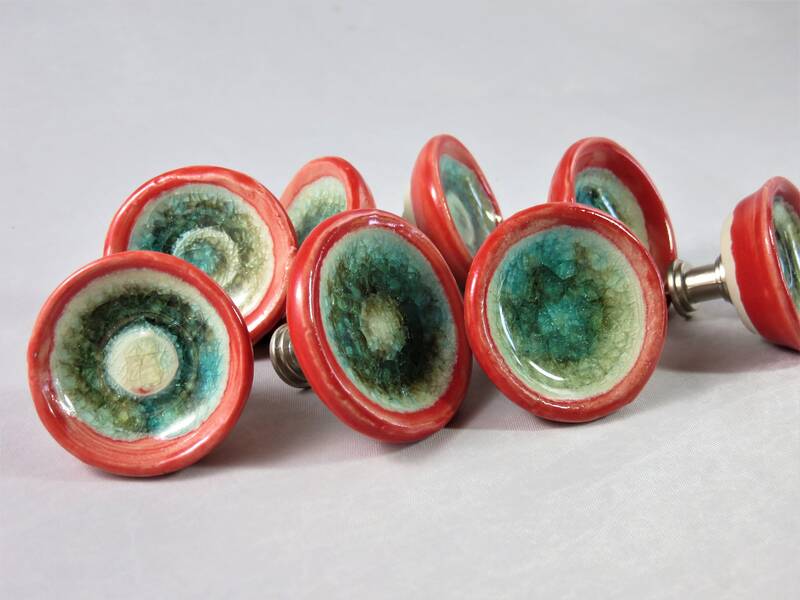 Gorgeous, OOAK drawer pulls; these are bright and big and colorful and each is unique and amazing. Really tickled to add these to my kitchen cabinets!